Following the events of Justice League: The Flashpoint Paradox, out on Blu-Ray, DVD and digital download today, the universe of the DC Universe animated feature films seems headed into the New 52. 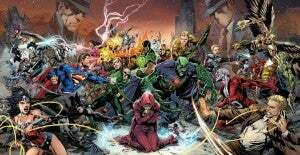 A post-credits sequence teases what we already knew: the next film, Justice League: War, will bring Geoff Johns's and Jim Lee's New 52-launching Justice League-versus-Darkseid story to Blu-Ray in 2014. 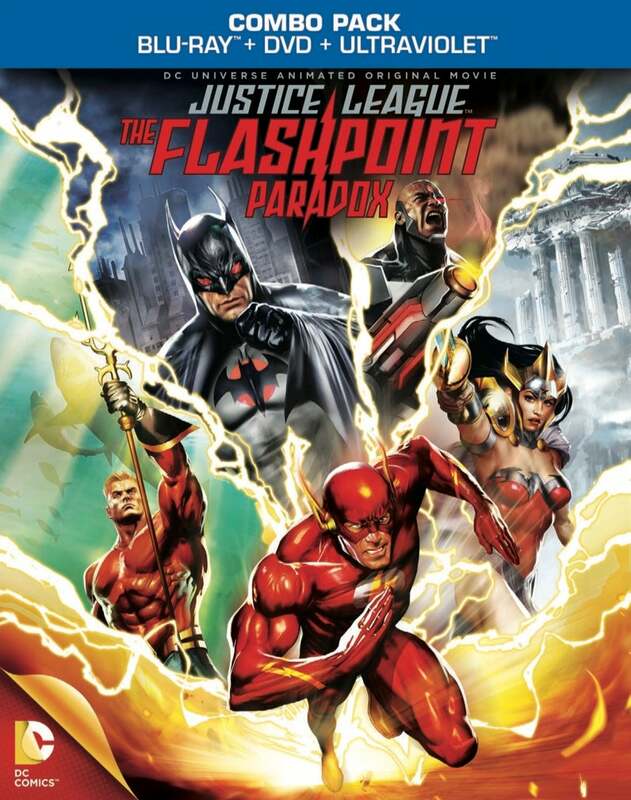 The relaunched universe, with a redesigned Justice League, appears briefly at the end of Justice League: The Flashpoint Paradox, but will get its first full-on appearance in Justice League: War. So...what should come next? The best-selling and most critically-acclaimed story of the New 52, The Court of Owls also enjoys the benefit of its lead character--someone who's consistently been a draw not just in the comics, but for animated films as well. Batman has headlined more of these direct-to-video features than anybody else, and most of them have been pretty well-received, so you can be sure that if they're really moving into the New 52, they'll want to jump on the stage-setting story for the New 52 Batman. 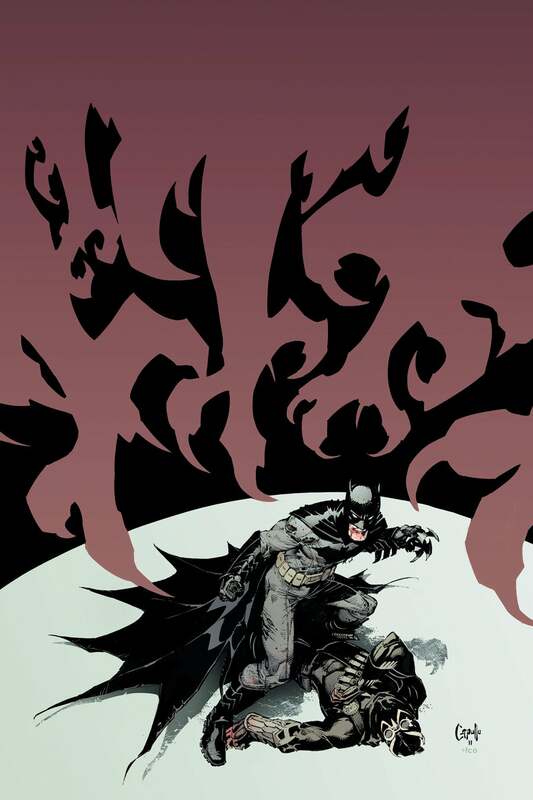 As an alternative, we could see them exploring Morrison's Batman Incorporated finale and the death of Damian Wayne, provided there's a way to do so without getting totally bogged down in continuity. 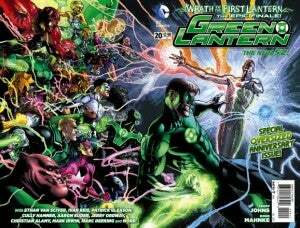 It might be difficult to navigate the waters of Geoff Johns's massive Green Lantern mythology in a fairly short feature film, and there have been enough big events over the last decade that pretty much any one of them could support its own movie so really this one's just included because it includes arguably the best single issue of Green Lantern ever written and puts so much of the mythology to use in a cool way that doesn't feel like it's made to introduce anything. That's the benefit to being the finale, one supposes. 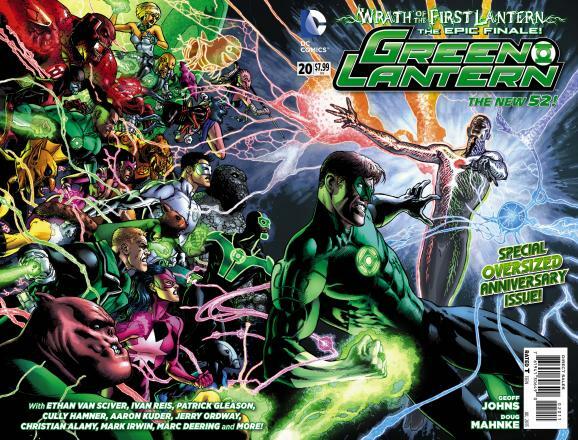 Of course, Blackest Night still never happened, and that would not only be nice to see but would really inform the big turning-point moment of this story. 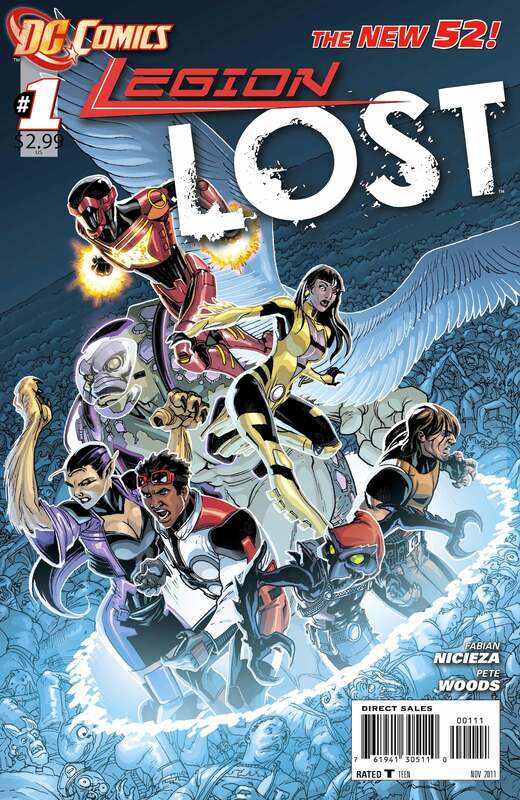 While the series itself didn't sell, it was an enjoyable enough stand-alone story, and could be used to re-establish the concept of the Legion with a non-comics-reading audience who haven't really been aware of the characters and concepts of the 30th Century DC Universe since the TV series that ended in 2008. The Legion is one of DC's most potentially-valuable pieces of intellectual property, but it's been treated badly across all media for years. Its fans, though, are rabid and if you could make an entertaining story they'd be there. Meanwhile, the time-lost aspect of the Legion Lost storyline could appeal to fans of the Flashpoint movie and also help fans who aren't familiar with the Legion of Super-Heroes to find an entry point that doesn't require casual viewers to come to grips with the 30th Century or the massive lineup. Do we ever want to see Guillermo del Toro's Dark Universe take shape? 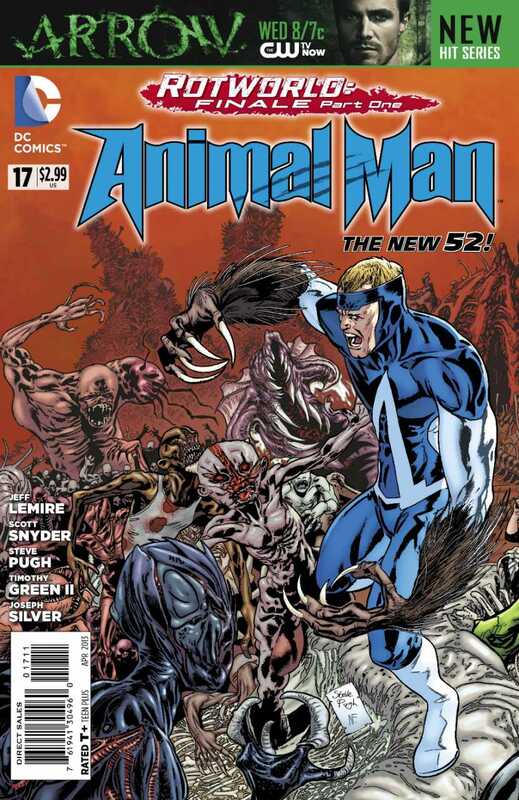 Well, then why not look into the Dark Universe as it pertains to DC's New 52? 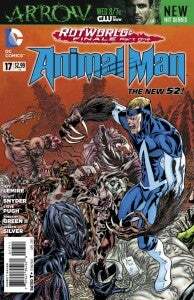 Rotworld may have gone on a bit too long in the comics, but the great thing about these short feature films is that you have to, by necessity, boil the stories down to their essences and cut much of the fat that didn't work. While there may be some stories that are too complex to effectively do that with, Rotworld isn't one of them. Rather, that story would do well to be shortened and simplified a bit, and it would be (again) a great way to introduce a casual audience to a group of characters who haven't starred in any of the films yet. Obviously it's not done yet, but Trinity War feels like a story that's meant for one of these movies. Take a huge number of cool characters, throw them all together in a chaotic situation, and you don't even have to cut that much, since this is one of those rare event stories that actually only runs for a couple of months. Also, Geoff Johns. He's got a history with these things, having written the stories behind both Justice League: The Flashpoint Paradox and Justice League: War. 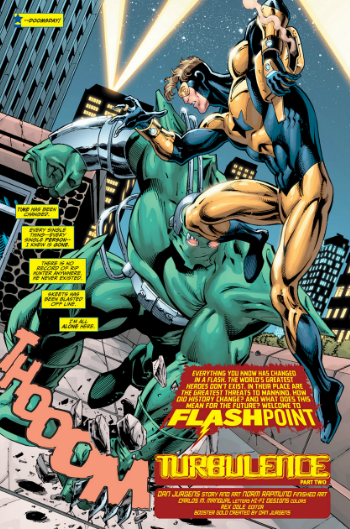 Set during the Flashpoint storyline, Booster Gold was the only member of the "regular" DC Universe to be shunted off to the world of Flashpoint besides Barry Allen. He found himself facing down a corrupt and paranoid U.S. government eager to experiment with their secret weapon: a mind-controlled Doomsday.